Wilmington and our Island Beaches offer a variety of accommodations and settings for your meeting attendees and guests. From full-service hotels and resorts with waterfront views to brand name lodging perfect for overflow, the area has easy access to three beach towns (Carolina, Kure and Wrightsville) and is home to more than 8,000 hotel guest rooms and suites. 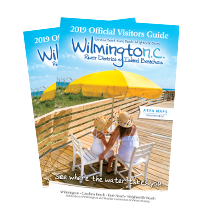 Contact the Wilmington and Beaches Convention and Visitors Bureau sales staff to assist with your meeting and convention lodging arrangements.